Tons of different types of puzzles to keep you busy. You'll be left wanting more. A spooky new mystery has you searching for clues in a creepy mental ward. 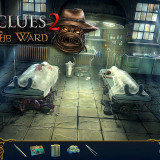 9 Clues 2 is one of those hidden object adventure games that has so much to offer to fans of the genre. There’s a great creepy story line that keeps you guessing throughout the game, tons of different puzzles to solve, and a lot of variety. If you’re searching for something to keep you busy on your holiday weekend car trips, it’s a perfect choice for some spooky fun. 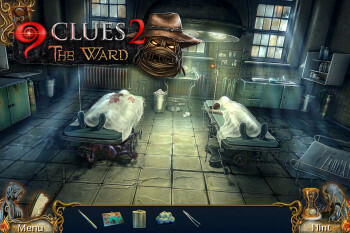 The story in 9 Clues 2 begins as you are called to the scene of a crime. You and your partner are police detectives, sent to investigate a suspicious death in a crumbling mental hospital. An esteemed doctor has fallen to his death through a window in his office, and all signs point to foul play. 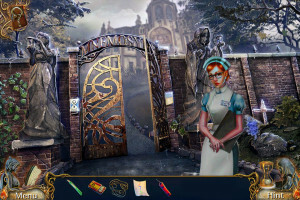 As you search the scene of the crime and speak with both witnesses and suspects, you’ll quickly understand that there is something sinister afoot at Mnemosyne Asylum. It’s up to you to figure out who’s behind it, or none of you will make it out alive. 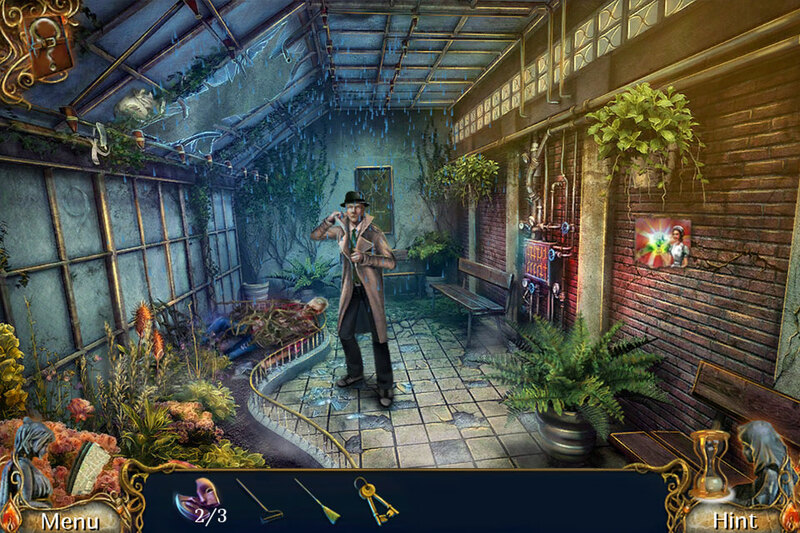 You’ll find a really nice variety in gameplay as you make your way through 9 Clues 2. There are so many different things to do that it really keeps the game from feeling repetitious. There are a number of types of object finding. You’ll find plenty of just wandering around the various environments in the ward, searching for usable items to help you in your investigation. 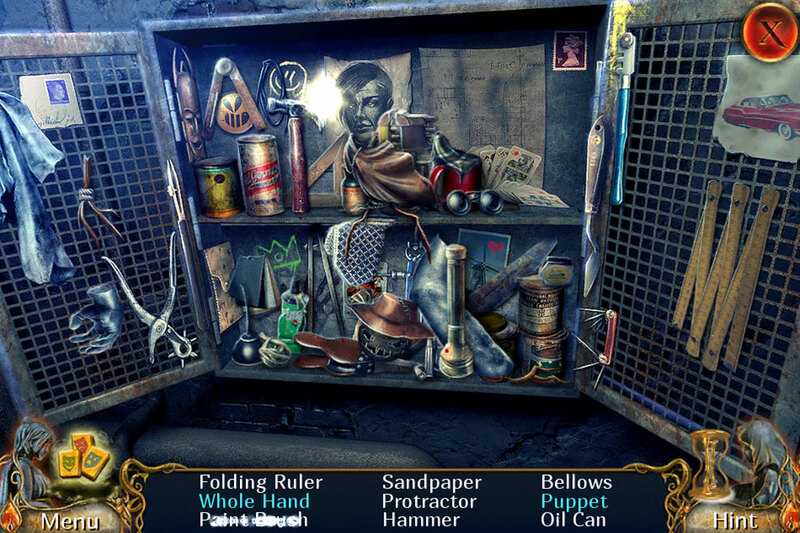 There are also plenty of standard hidden object jumbles, where you’ll search for a given list of items on a fixed screen. 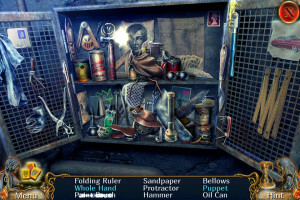 Some of the items are just lying amongst the jumbled objects, while others may require re-assembling or searching inside other objects to find. In a nice touch that I really enjoyed in the first 9 Clues game, you can switch between the object jumble or a challenging game of mahjong – a Chinese tile matching game that is truly addictive. Completing either one will give you the object prize at the end of the jumble, needed to . It’s a nice alternative to using the hint feature if you get stuck in a jumble, as you can simply switch to the mahjong and finish it that way instead. Or if, like me, you love both types of puzzles, you can It’s a great feature that adds welcome variety to the game. Since you are a police detective, you’ll also complete a third type of hidden object puzzle. In this type, you’ll be searching for clues in a fixed screen. 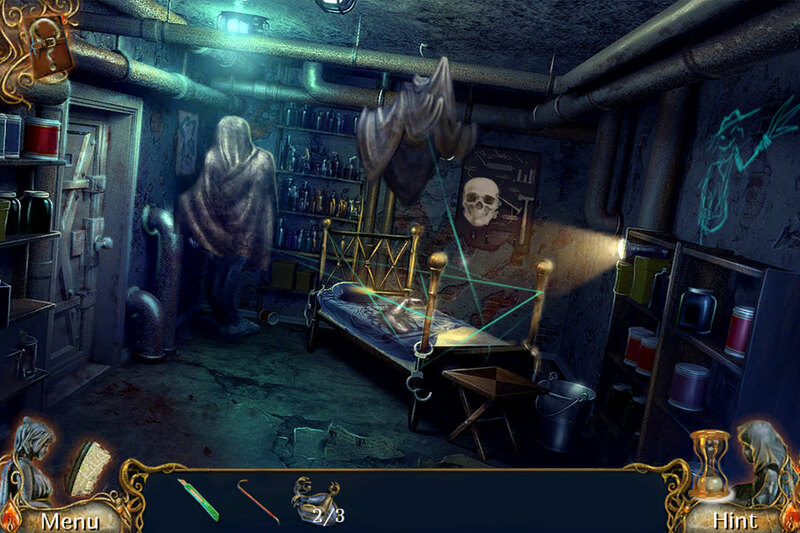 At each crime scene, you’ll enter the puzzle, knowing only that you need to find what is out of place in the room. From torn curtains to footprints on the floor, you’ll need to find all of the clues, and then put together a timeline of what happened when the crime was committed. Along with all of those puzzles, there is also a number of mini games to solve, so needless to say this is a game that keeps you busy from start to finish. 9 Clues 2 – The Ward is a perfect example of what hidden object adventures have to offer. There are tons of different puzzles to keep you busy, and a spooky story line that keeps you guessing. What more could you ask for?